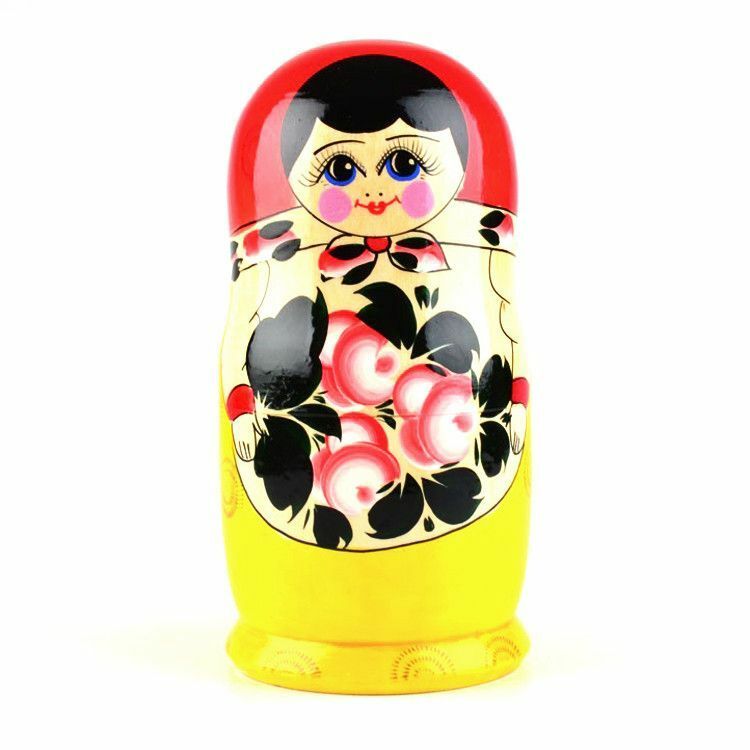 This smiling and pretty nesting doll features many pink flowers painted on her belly(s). 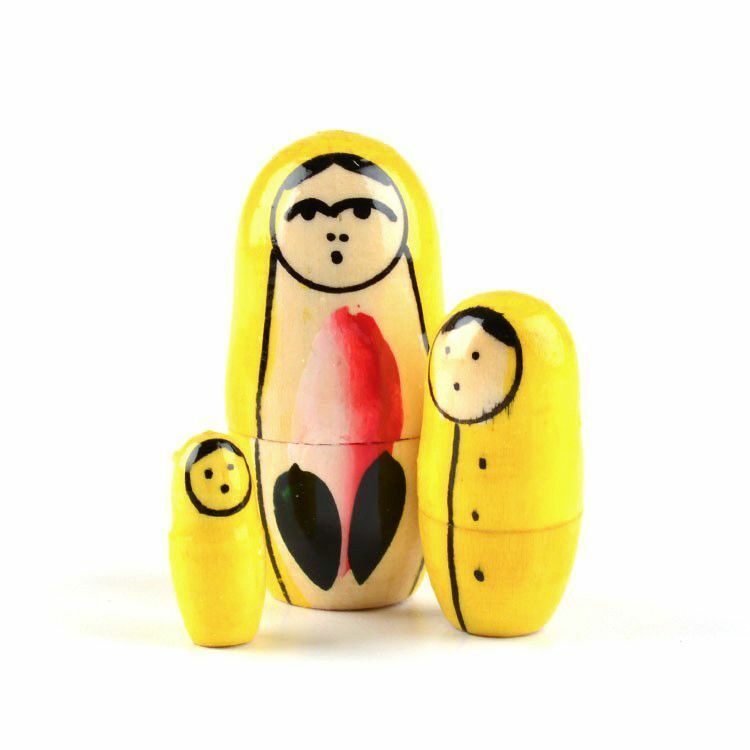 She stands about 8 1/4" tall and holds more dolls that decrease in size and amount of detail. 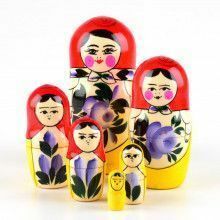 She was made in Russia, the old-fashioned and traditional way... with love! 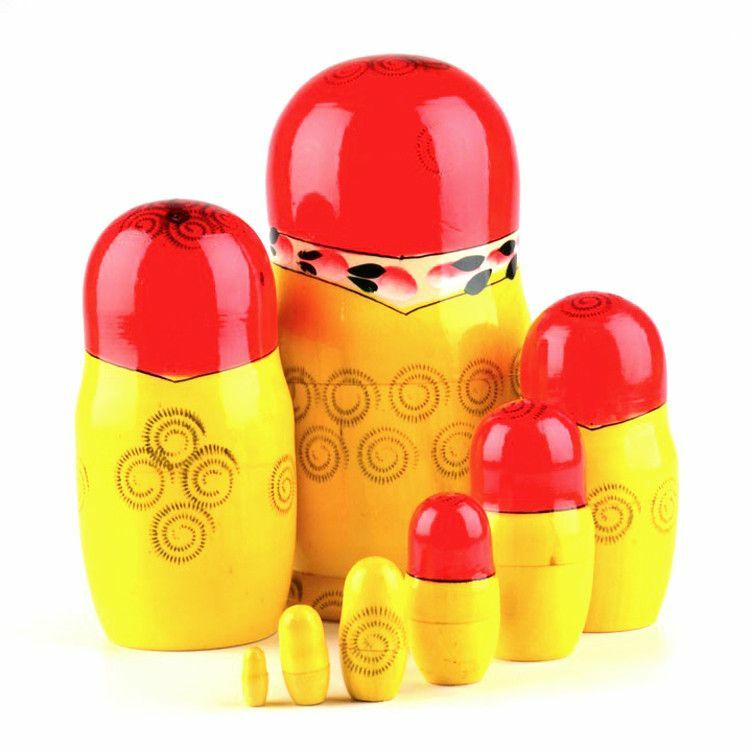 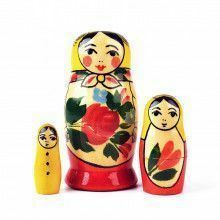 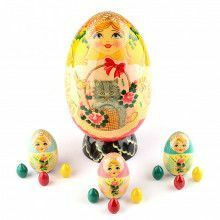 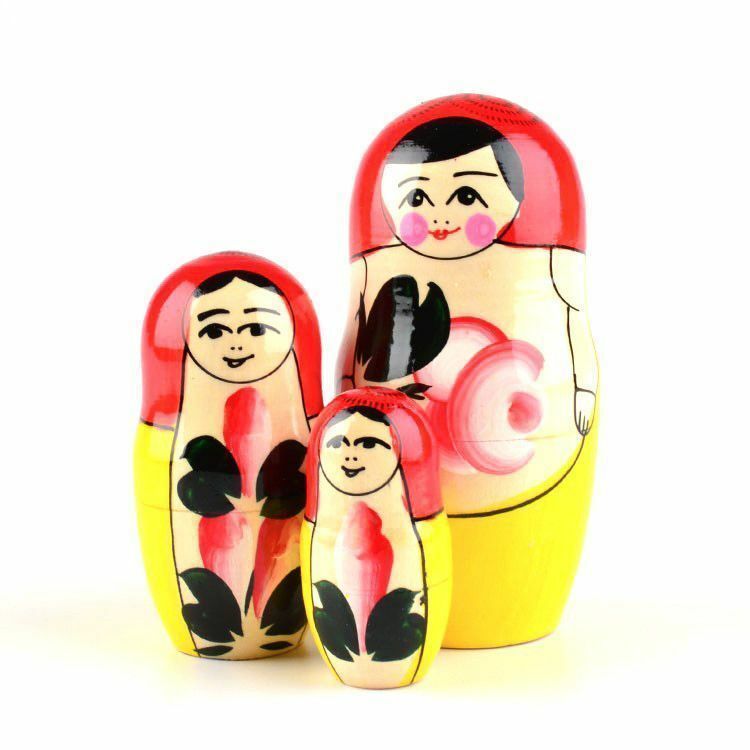 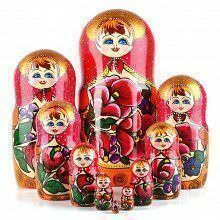 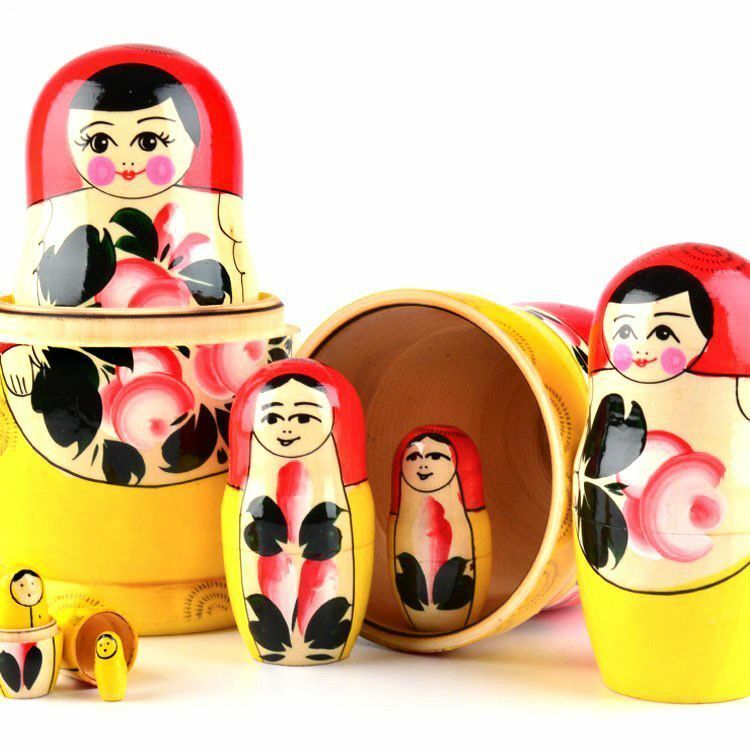 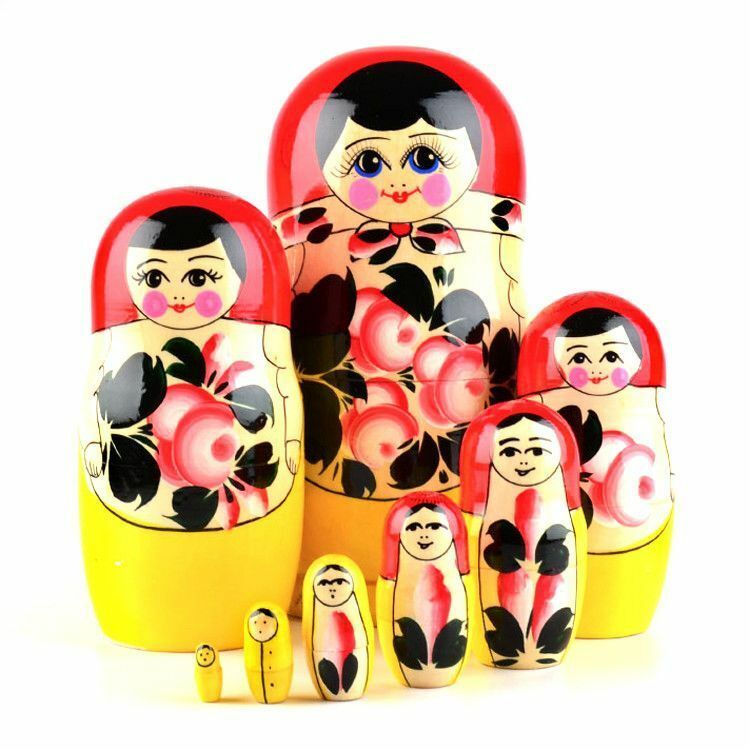 Bring home some folk art today and start having fun with this classic 8 piece matryoshka.